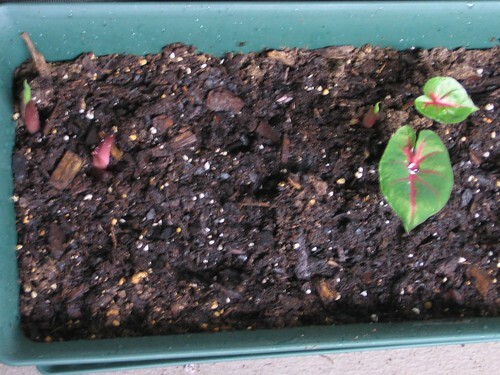 Here's the baby caladiums - note that there are more popping up over on the left. This was a mixed bag, literally, so they're not all going to be the same color. and here's the rest of my "garden" - which is doing really well considering the level of benign neglect it's gotten all winter. 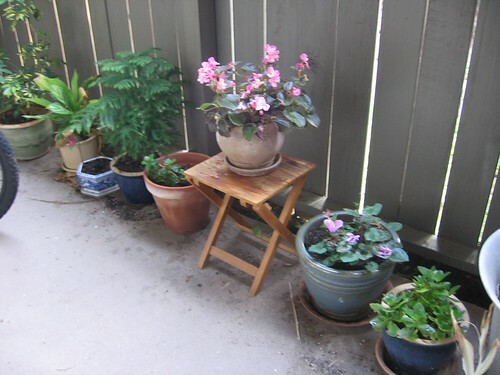 I have a few more plants on the front porch but it's too shady and they aren't flourishing like these are.